The volunteers organizing Art on the Avenue met at Amore Coffee this morning, and things are starting to come together. We have great exhibits and bands lined up, and we’re working on some children’s activities and finalizing other details for the event. It’s really happening, folks. Most of the activity will be on Saturday, August 3, with some of the exhibits having a preview the night before. All of the info is posted on the West Side Community Organization website, and will be updated as we get closer. Christine Shyne at WSCO is working tirelessly to make this event a reality. She’s even offering up her van to be decorated as an art car for one of the exhibits. Heidi Gesell from Bank Cherokee and Tom Alvarado from High Bridge Tattoo (who designed the poster above) were also present this morning and have been major contributors to the team. The Pizza Shop, Nomadic Press, Capital Deals, the Capital View Cafe, Cherokee Tavern, Amore Coffee and Eclectic 887 are also providing invaluable support. It’s not too late to help out. WE NEED VOLUNTEERS. We’ll need folks to work in short shifts throughout the weekend to distribute flyers, run concession stands and info booths, and other tasks (for what it’s worth, I’ll be working the event from beginning to end). Please contact Christine at 651-293-1708 or christine@wsco.org if you’re able to help in any way (donations, cough cough, are also welcome, cough cough cough). And if not, plan to take some time on August 3 to come out and celebrate your neighborhood! 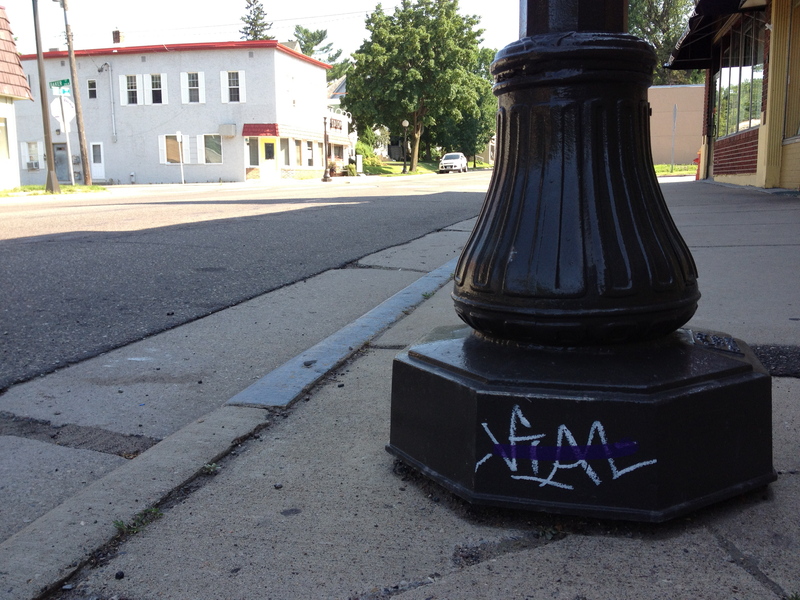 Someone’s been tagging the light posts up and down Smith Avenue. If you see a guy in a dark hat with a spray can wandering up and down Smith Avenue, you might want to look twice before calling the police. Yesterday, I spotted a neighbor walking down the street scrubbing graffiti off the light posts at Smith and Baker. 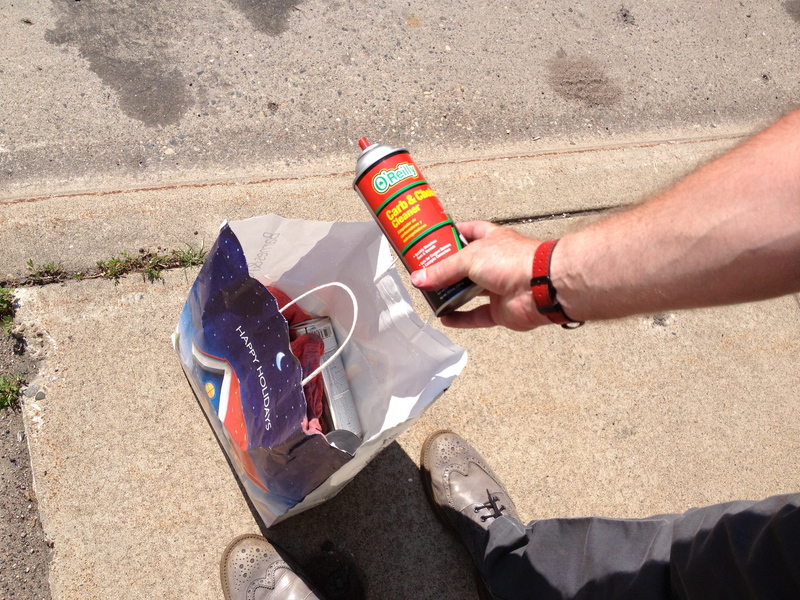 Someone’s been tagging them on a regular basis with spray paint, he’s been diligently following up removing the tags. The idea, hopefully, is to convince the vandals that they’re engaged in a futile exercise. His weapon of choice? Carburetor cleaner. Apparently that and a little elbow grease takes the paint right off. I’m not going to identify our one-man anti-graffiti squad, lest the city or the vandals take issue with his work. But if you see him out there, you’re welcome to grab a rag and chip in. Or bring him a beer or something. Art on the Avenue is coming together, but we’re not going to be able to pull off this event without your help. We’ll need volunteers to help distribute event programs, set up exhibits, clean up afterwards, and a bunch of other tasks that we haven’t thought of yet. 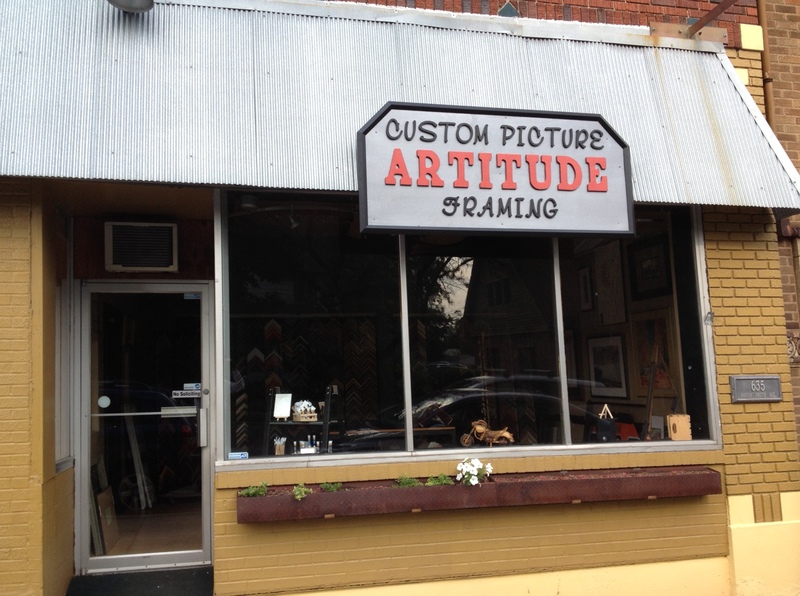 Art on the Avenue will take place the first weekend of August. If you’re interested in participating in any way, please email stubbornlylocal (at) gmail (dot) com.